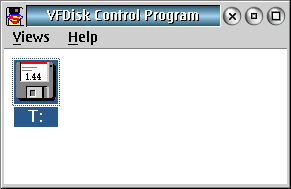 VFDISK.SYS is a virtual floppy device driver. 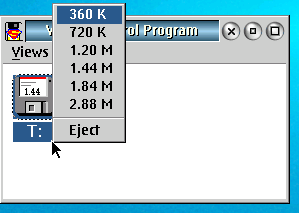 It comes handy when for example you need to run LOADDSKF.EXE to unpack floppy images but no longer have a floppy drive. This is an update of VFDISK 3.0. If you have problems where vfdisk.sys fails to load on a system with many device drivers loaded then this update is for you. Also some cosmetics: VFDISK.SYS now registers with resource manager (run "rmview.exe /D"), it reports 1 media supported via its device driver header (if you look with Theseus). If it fails to load for any reason (invalid parameters etc.) it will do so silently without waiting for a key press to continue boot. VFDISK is open source software under the GNU LESSER GENERAL PUBLIC LICENSE version 3.